Did you happen to catch the Benevento/Russo Duo last week at Higher Ground? Hope you did, because it was fantastic, as Duo shows tend to be. I wrote a review of the show here. 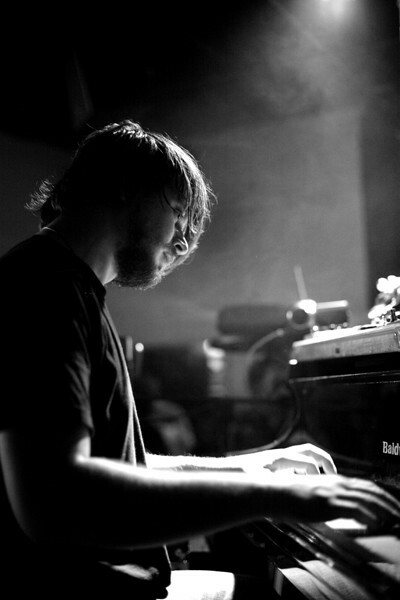 If you're like me, and you can't get enough of Marco Benevento and his keyboard wizardry, you're in luck. He'll be returning to Burlington on Nov. 10 with a Marco Benevento Trio show at FlynnSpace, which will include bassist Reed Mathis (Jacob Fred Jazz Odyssey, Tea Leaf Green) and drummer Jon Fishman (a band called Phish, maybe you've heard of them). They'll be playing material off Marco's solo album, Invisible Baby, which came out earlier this year and has been a recent favorite of mine. Folk singer-songwriter Nathan Moore, who often plays along with members of The Slip in the band Surprise Me Mr. Davis, opens the show. I haven't seen the show advertised much, but it's in a tiny room and the presence of a Phish member will undoubtedly catch some attention, so I wouldn't procrastinate on buying tickets.